Another photo from Alex Stevenson (UK) showing Great-Uncle Norman Spencer with an FN, taken in Vine Court Road in Sevenoaks, close to where he lived. -- Fabrique Nationale de Herstal was Belgian company started in 1889 to make arms and ammunition, and 1901 to 1967 making motorcycles. 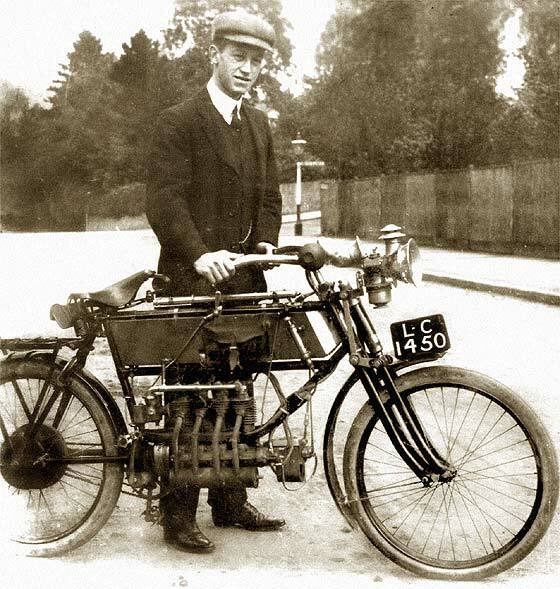 FN made the world's first four-cylinder motorcycle and was famous for the use of shaft driveon all models. London CC reg. 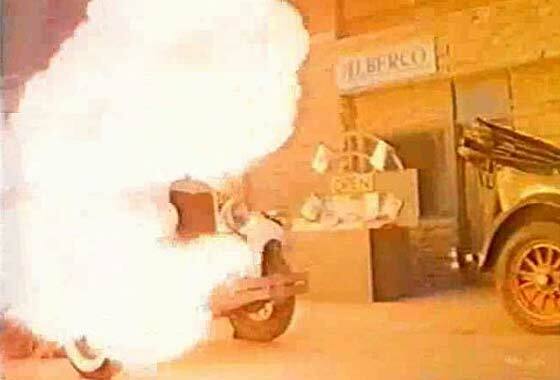 says this one was a cca 1905 FN 362cc Four Motorcycle. Closed in 1967. Number of interesting photos sent to us by Andrew Kostin from Moscow (Russia) who is a collector of old photos and who has a website devoted to this subject at http://antique-photos.com/en/. Can we identify this car photographed in Canada? Unusual Tintype ? -- Very indistinct and damaged photo which does not show detail, but we are relatively sure this is a studio shot utilising a 'photographers prop'. This would be a non functioning model made up of c1905 car parts used for photograps only. One of a number of high quality interesting photos sent to us by Mike Mackrill (UK) who has a collection of old glass negatives relating to early days of aviation and who has a website devoted to this subject called Nostalgic Picture Library. Can we help out with the cars? 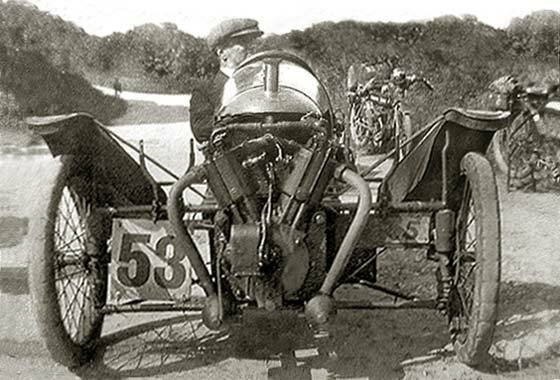 -- Exceedingly unusual car manufactured in Belgium by folding bicycle manufacturer who started cars 1901 and by 1906 was under French influence making the Mathieu. Not much of car can be seen but this is a cca1906 Belgica. One of a number of high quality interesting photos sent to us by Mike Mackrill (UK) who has a collection of old glass negatives relating to early days of aviation and who has a website devoted to this subject called Nostalgic Picture Library. Can we help out with the cars? -- Registration is SM 343, which is Dumfries CC (Scotland). 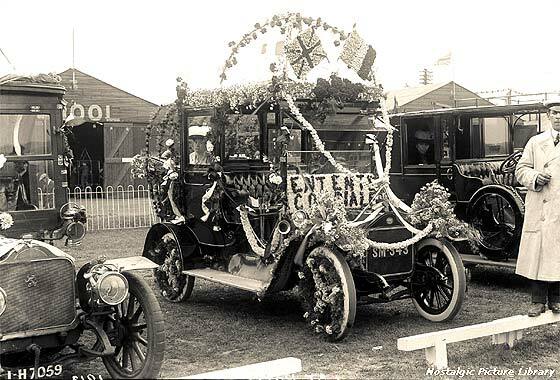 Under the disguise of flowers this is a cca 1907 Wolseley Siddeley Open Drive Landeaulette. 'Entente Cordiale' was between England and France, 1904 vs. Germany. Fabulous photo of a magnificent car received from Alec Stevenson (UK) from Great-uncle Norman Spencer. " 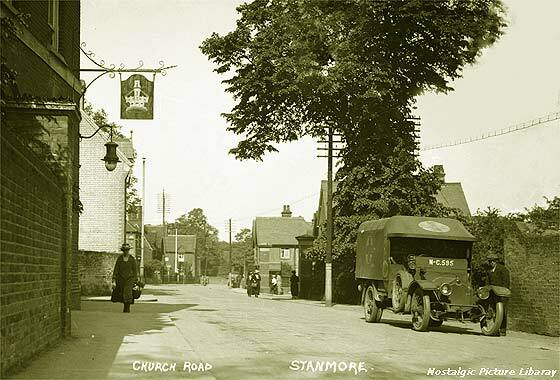 I do not recognize the driver but I am fairly sure the car is photographed at the end of Vine Court Road, Sevenoaks, near their house, Ashbrook, where the Seven Oaks grew. --Great looking car which is little difficult from side view but we are relatively sure this is a cca 1907 De Dion Bouton 24HP or 30HP Double Phaeton. No bigger De Dions were ever made and none have survived. One of a number of high quality interesting photos sent to us by Mike Mackrill (UK) who has a collection of old glass negatives relating to early days of aviation and who has a website devoted to this subject called Nostalgic Picture Library. Can we help out with the cars? -- Registration is W 1813 which is Sheffield CBC but dating data is lost. W 1110, on a very similar car, is dated 1910. 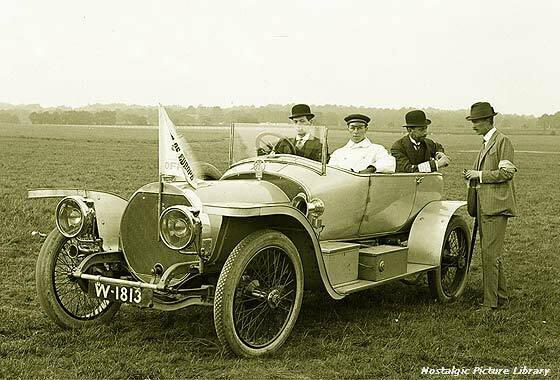 By 1913 they had a different rad so this is cca 1912 Sheffield Simplex with torpedo bodywork, possibly 3 seater? Fascinating period photo received from one of our Members Ian MacLennan (UK) who was wondering what it was. Parents regularly attended Brooklands. -- Lovely historical photo which we passed to the Morgan archivist Jake Alderson, who advised that it was one he had not seen before. A single seater Morgan Grand Prix fitted with JAP 90 bore ohv water cooled engine. Only one he knew like it was raced by W G McMinnies in 1913. Could be the same car, at a later date. Read more. 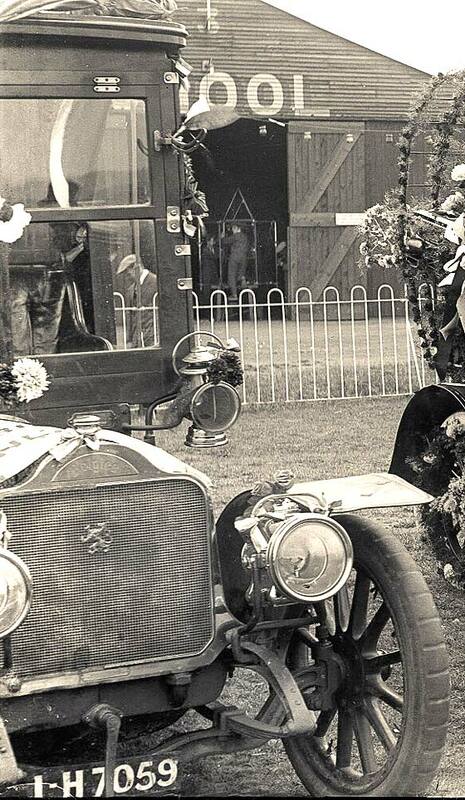 Interesting photo received from Philip Clarke (UK) who is trying to date it, so identifying car or year may help. Taken at Youngman's Mill on Wortham Ling, near Diss in Norfolk. May have been taken somewhere between 1910 and 1920. Is this a possibility or not?. 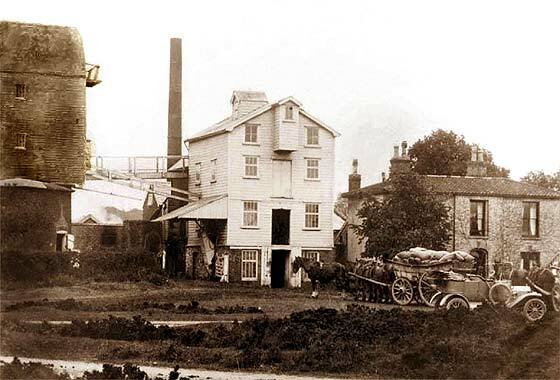 -- Lovely historical photo with a couple of five horse loaded drays next to a post mill and granaries. Although not clear, in the foreground is what looks like a cca 1912 Ford Model T. Therefore photo is likely to be pre / during WW1. Another fascinating photograph from our regular contributor Cicos Florin in Constanta by the Black Sea (Romania) who is interested in old cars of Romania. Do we know what this is? Could it be a NAG? -- Yes it is definitely a car made by Nationale Automobil-Gesellschaft in Berlin, Germany. It has interesting features which make it difficult to name precisely, gas lamps side and scuttle (one broken) etc, but we feel this is a pre-WW1, middle size vehicle, a cca 1913 NAG K4 Touren Wagen. One of a number of high quality interesting photos sent to us by Mike Mackrill (UK) who has a collection of old glass negatives relating to early days of aviation and who has a website devoted to this subject called Nostalgic Picture Library. Can we help out with the cars? 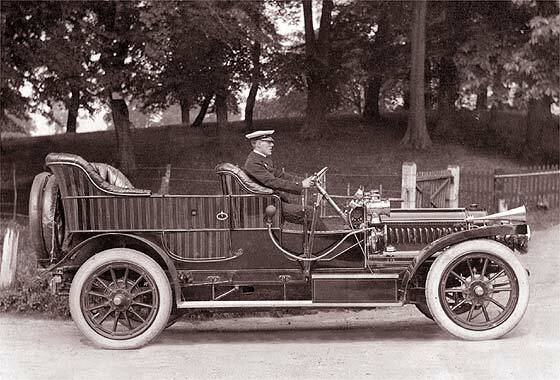 -- Luxury car made in Belgium and grander versions were used by many European Royal Families. CS Rolls was UK agent! Tapered rather than parallel bonnet flutes so is cca 1914 Minerva Knight Tourer, probably the 26CV. One of a number of high quality interesting photos sent to us by Mike Mackrill (UK) who has a collection of old glass negatives relating to early days of aviation and who has a website devoted to this subject called Nostalgic Picture Library. Can we help out with the cars? -- Registration is MC 595 which is Middlesex County Council c1918. The vehicle is a cca 1918 Crossley 20'25 Military Ambulance known to the War Office as Type J, produced by Crossley Motors, Manchester. 6,000 Js were made. Number of interesting photos sent to us by Andrew Kostin from Moscow (Russia) who is a collector of old photos and who has a website devoted to this subject at http://antique-photos.com/en/. 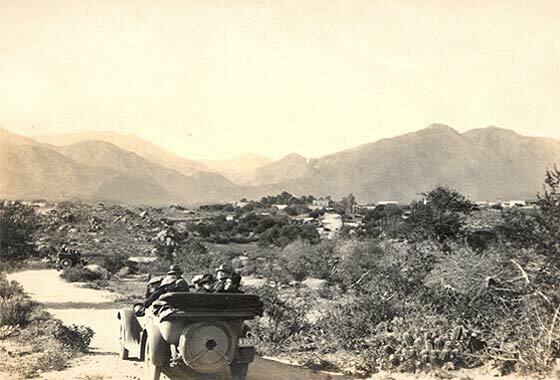 Can we identify this car photographed in Argentina ? -- Interesting mix of cars. The front one is American and has a number 6 on the radiator made after WW1, so a cca 1919 Studebaker Big Six Touring. 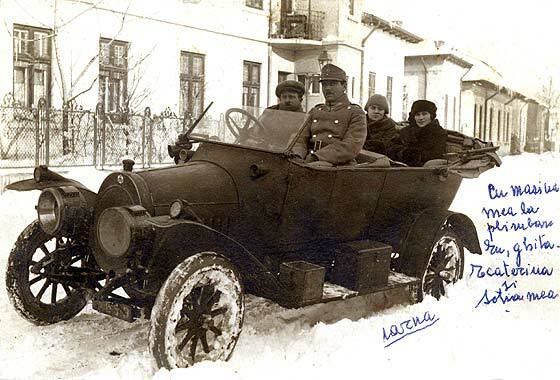 The second car is Italian, made in Turin before WW1 being a cca 1914 Lancia Theta 35HP Torpedo. Another fascinating photograph from our regular contributor Cicos Florin in Constanta by the Black Sea (Romania) who is interested in old cars of Romania. Do we know what this is? Could it be a Rolls Royce -- Another interesting piece of detective work by our experts. The car is big and luxurious and indeed looks like a Rolls Royce, but which one? Via Rolls experts Tom Clark, and Andre Blaize from France, advised c1920 Rolls Royce Silver Ghost rebodied by Labourdette Paris in 1930. More! 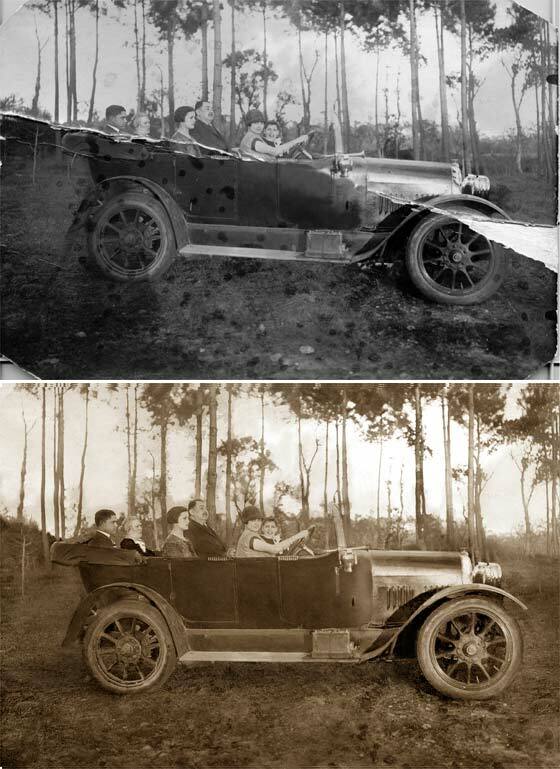 Interesting period photo received from Lars Magnuson (Sweden) who is trying to identify the car. Photo was taken around 1928 and shows his father, his sisters and parents; "The Magnuson family" . 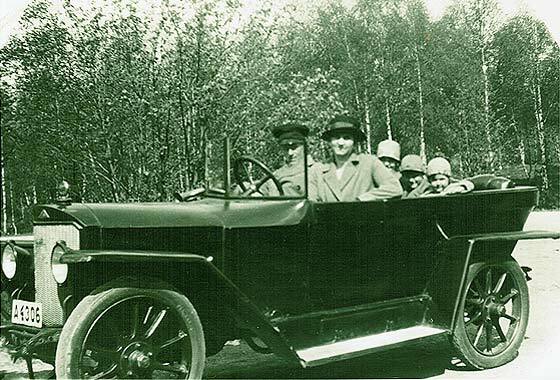 -- Lovely photo taken in Sweden of a German car that was at the time being made in Sweden under licence. This is a German cca 1921 AGA Single Door Phaeton, either the 6'16 or the 6'20. 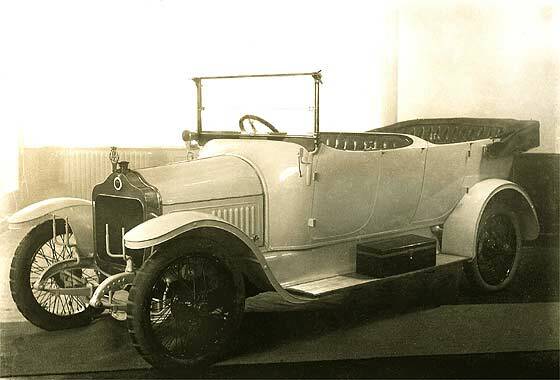 The main difference between AGA and the Thulin was that the AGA cars had the very angular mudguards. Number of interesting photos sent to us by Andrew Kostin from Moscow (Russia) who is a collector of old photos and who has a website devoted to this subject at http://antique-photos.com/en/. Can we identify this car photographed in Argentina ? -- Big Country indeed, imposing view. Car is American. Couple of distinct identification features, headlamp has a square front and the rear lamp similar shape. From disc type wheels our Mark Dawber dates it a cca 1922 Studebaker Big Six Touring. Another car from a batch of photos received from Philip Degen (UK) who has seen a reference to us in the Essex Family Historian. Wife has inherited an album which does not appear to be family and they are trying to trace who they were. -- Very fuzzy small pictures. Original thoughts were that it was a cca 1921 Calthorpe but our Tim Harding recently advised, because he has one, that it is a 1922/3 Belsize Bradshaw 9 HP with the unusual body, but which was a factory option. Number of interesting photos sent to us by Andrew Kostin from Moscow (Russia) who is a collector of old photos and who has a website devoted to this subject at http://antique-photos.com/en/. Can we identify this car photographed in Argentina ? -- Another column of Fords. On each in large letters on the lower windscreen seems to be written ESTA???. Not possible to make out the other letters; perhaps Estados. 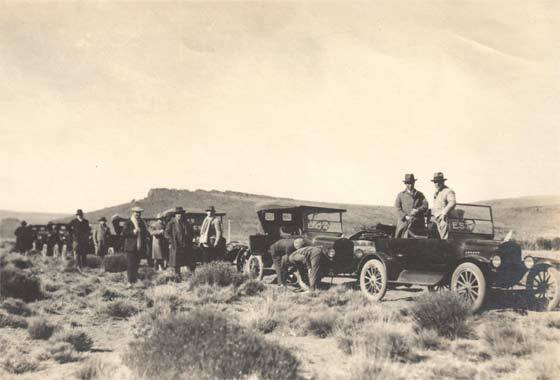 The cars seem mostly cca 1923 Ford Model T Touring, probably made in Buenos Aires. Cinema screen grab taken from an American film " Black Rose of Harlem " made in 1996 where the cars are being investigated by IMCDB. Film is about a young black girl jazz singer in 1920s Harlem who catches the eye of a mobster who is already married to the mob boss's daugher. -- Not a lot of the car is visible for a positive identification but, other than it possibly being a cca 1926 Ajax, the widow's peak shape of the radiator top suggests this is a cca 1931 Ford Model A, body on fire. Interesting photo received from Steve Boyce (UK) being investigated by his friend John Fagan who is researching his family history. 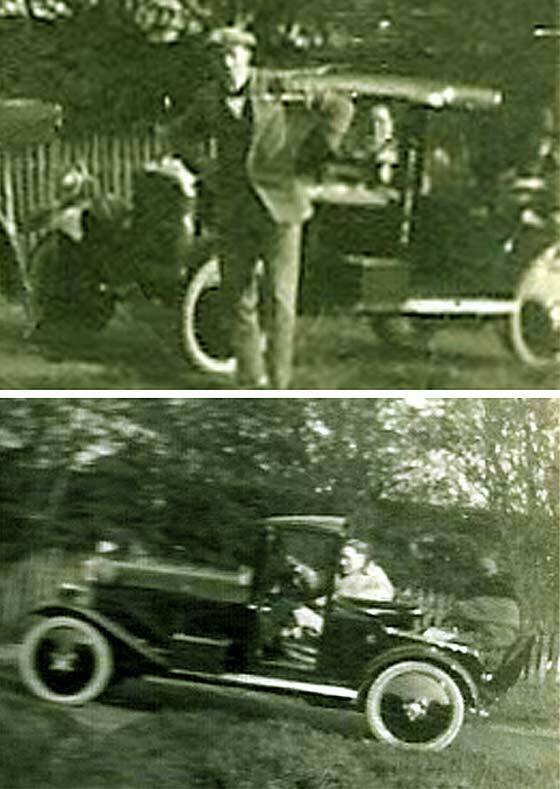 He would love to know more about the car and also hopes to identify the location. -- Cannot help on the location nor exact dating as no reg number visible. 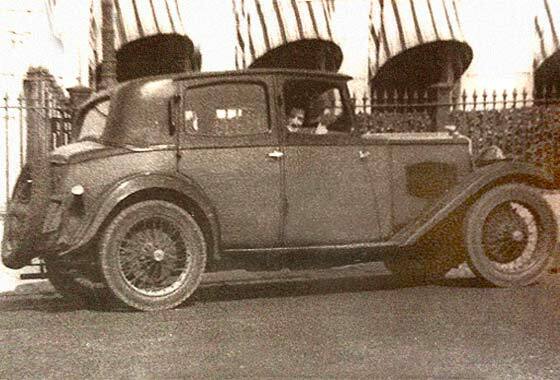 We can however identify the car from the 'diamond' shape of bonnet louvres; and from the lack of vent flap on the scuttle can limit that this is 1929 to 1932, so is a cca 1931 Riley Nine Monaco Four-Seat Saloon. 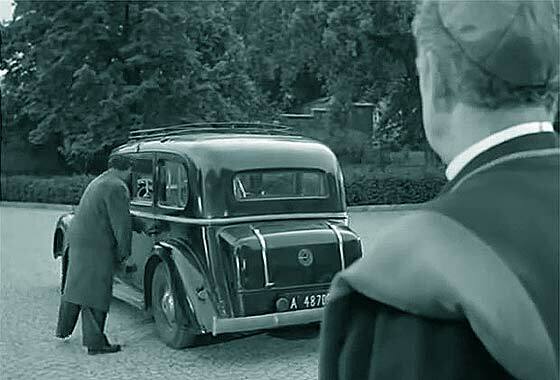 Cinema screen grab from a film "Schachnovelle" (Brainwashed) made in Germany 1960 where the cars are being investigated by IMCDB. Film is about 1938 Nazi Austria where an intellectual art smuggler is imprisoned by the Gestapo and subjected to mind games. -- Quite a clear Austro Daimler type logo on the boot of a sizeable but car is not Austro Daimler. This is a cca 1937 Steyr 630 Limousine. 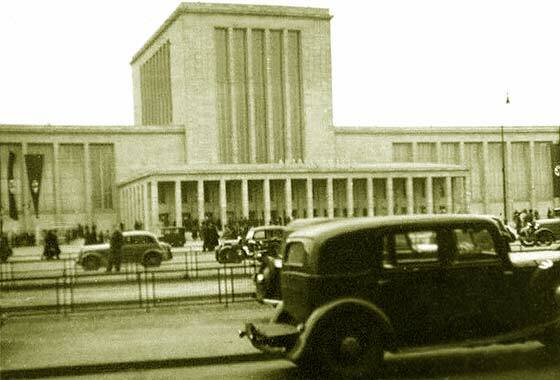 Austro Daimler initially bailed Steyer out, and eventually took them over fully in 1935. Number of interesting photos sent to us by Andrew Kostin from Moscow (Russia) who is a collector of old photos and who has a website devoted to this subject at http://antique-photos.com/en/. Can we identify this car photographed in Argentina ? -- Little bit difficult to make out much on either trucks but we think the one on the left is a British cca 1955 Bedford A 5, and the one on the right is an American cca 1960 Ford F 500 trucks. Both seem to be cattle transporters, so hope animals OK? 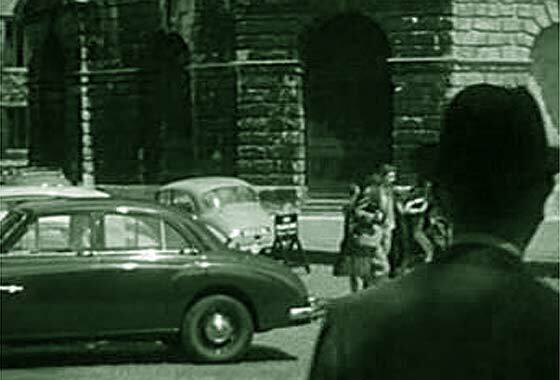 Cinema screen grab taken from British thriller ' The Mind Benders ' made in 1963 where the cars are being investigated by IMCDB. Film is about a scientist who undergoes sensory deprivation to prove that this can make one unusually susceptible to brainwashing. -- BMC saloons like MG, Wolseley and Rileys of the mid 1950 shared body-shells and are a little difficult to tell apart. Short chrome trim on the door and circular holes in the wheels say this should be cca 1955 MG Magnette ZA saloon. Number of interesting photos sent to us by Andrew Kostin from Moscow (Russia) who is a collector of old photos and who has a website devoted to this subject at http://antique-photos.com/en/. 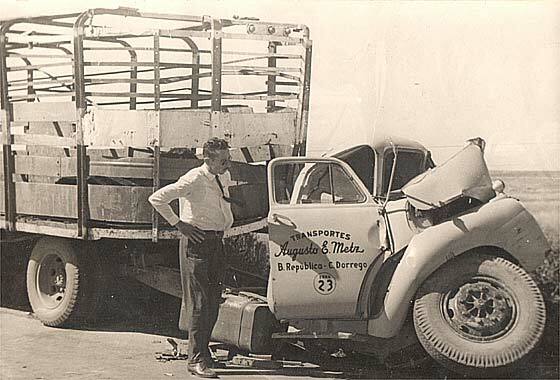 Can we identify this truck photoed in Argentina ? Possibly a Bedford but which model? -- Not easy to make very much out of how the lorry may have looked but study of the front side-light pattern, wheel, and that the step is below the door and behind the wheel, suggests this is a cca 1955 Bedford A5. Lovely but damaged photo received from António Almeida Porto (Portugal) which he is repairing as a present for Mother-in-Law. It is the only photo she has of her grand-mother and of other members of the family Guerra. Probably taken in mid 20's and in the north of Portugal. He became curious about the car when he was trying to repair the front wheel. --The car has beaten all our experts in the UK and worldwide. It looks American but has lots of European features. Any ideas welcome? Number of interesting photos sent to us by Andrew Kostin from Moscow (Russia) who is a collector of old photos and who has a website devoted to this subject at http://antique-photos.com/en/. Can we identify this car photographed in Germany ? --The photo is quite small and has little contrast so it is not possible to see into the picture and pull out any clear identification features as to make. 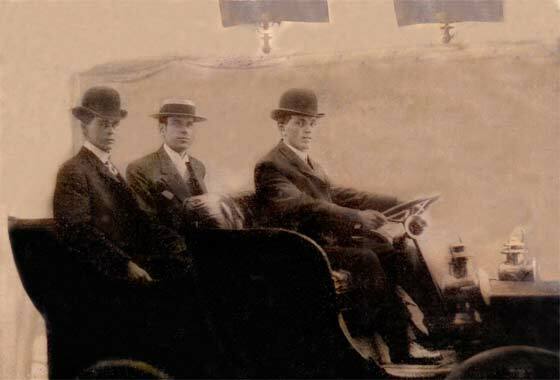 Many of the luxury Geman cars of the period had similar bodies. Any help would be much appreciated.